NETWORK MARKETING is the Fast Growing BUSINESS of 21st Century whitch must be joined by Every Young Man And Women Globally. Otherwise you can Never get the Best of your Youth Age. NETWORK MARKETING is the future BUSINESS in India. This is the 21st Century BUSINESS and this Business will Give the Revenue of 9000 Crore to Indian Govt Till 2025. The NETWORK MARKETING industry in India Estimated to be INR Billion (2012-13), and forms only around 0.4% of total Retail sales. This industry Has the Potential to Reach size of INR 645 Billion by 2025. If I Would Be a chance to Start All over again. I would choose NETWORK MARKETING . 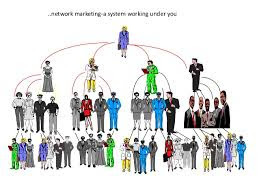 NETWORK MARKETING has proven itself to be a viable. There have been some Remarkable Examples of SUCCESS . NETWORK MARKETING has Produced More Millionaires than any other Industry In the HISTORY OF WORLD. You Strengthen our Country and Our Economy not just by striving for your own SUCCESS but by Offering the Opportunity (NETWORK MARKETING ) to Others . NETWORK MARKETING Gives people the Opportunity with very Low Risk and very Low Finantional Commitment to Build their Own Income Generating ASSET and Acquire GREAT WEALTH. Change your Thoughts because "Thoughts are the cause & Condition is the Effect".